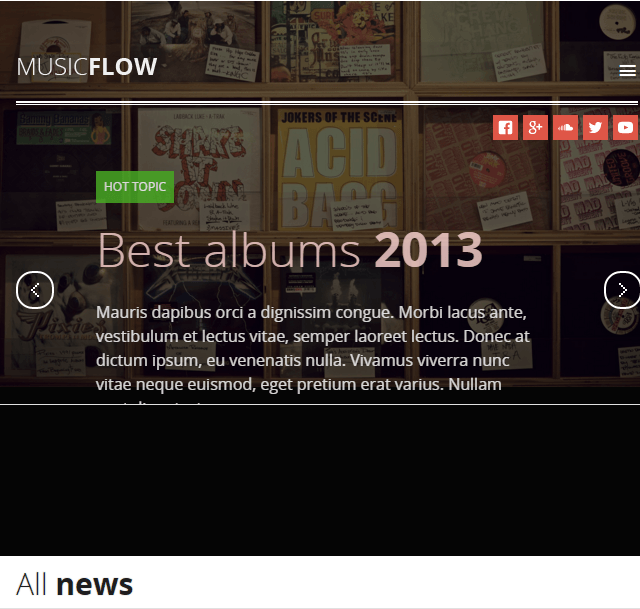 A Simple Video-Centric WordPress Theme. 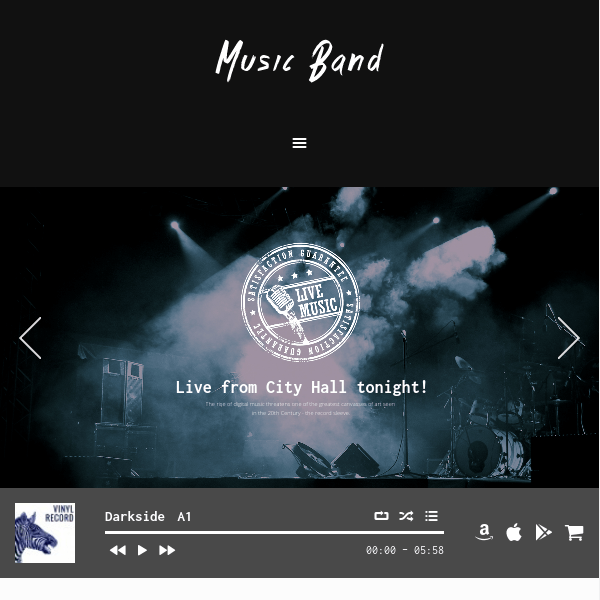 Showcase music and videos beautifully. 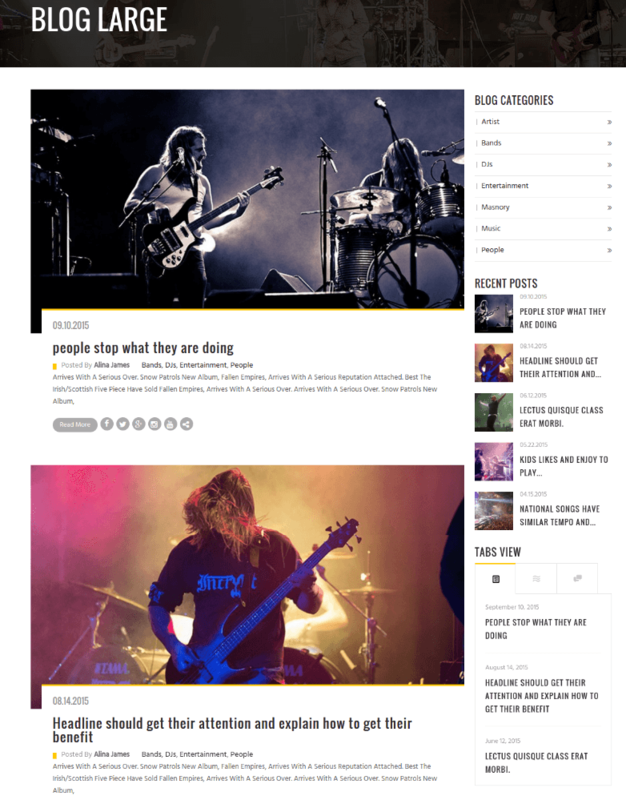 An outstanding theme for Bands and music websites. It comes with fully responsive and retina ready design. It is very easy to modify & easy to changeable Color skins with custom graphics. 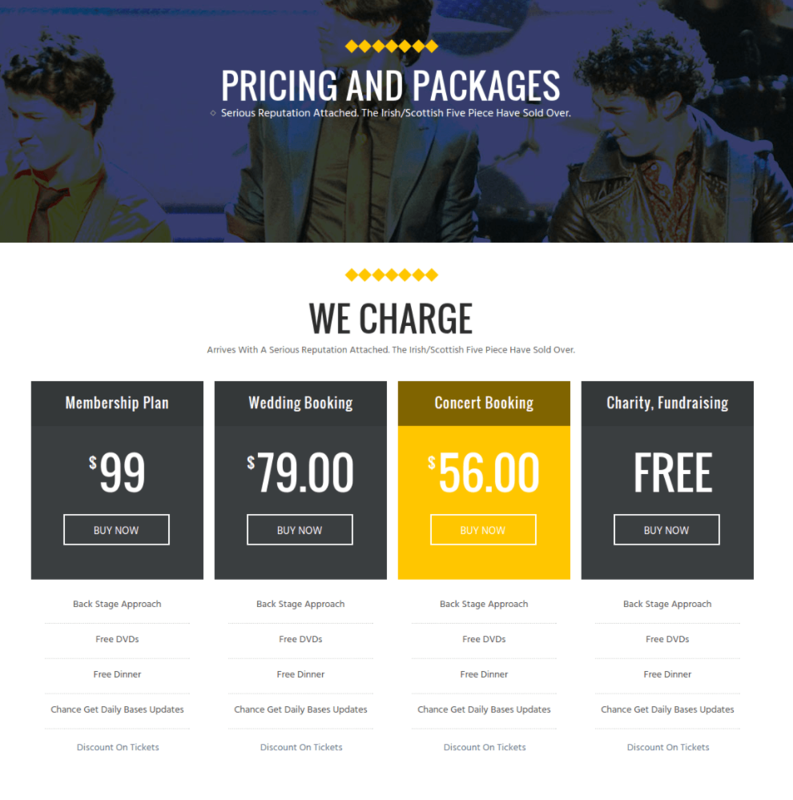 This template comes in some premade color variations: yellow, blue, and gray, white but it will only take one minute to create your desired color schemes. 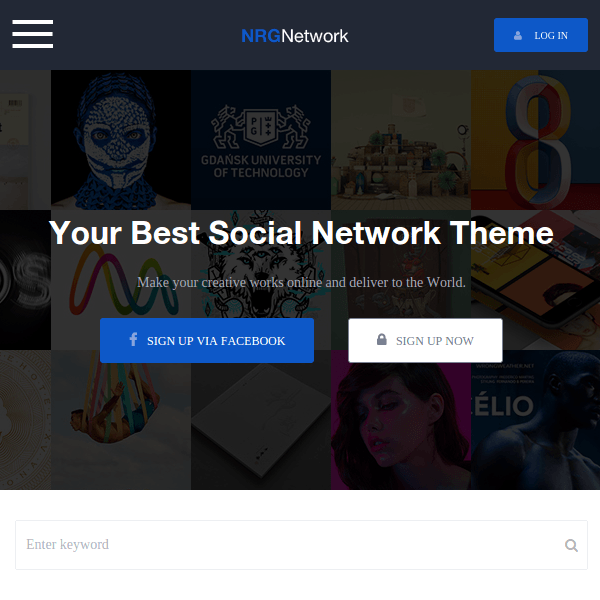 It comes with clean code, you can easily modify theme with few knowledge of development. It is integrated with event feature. 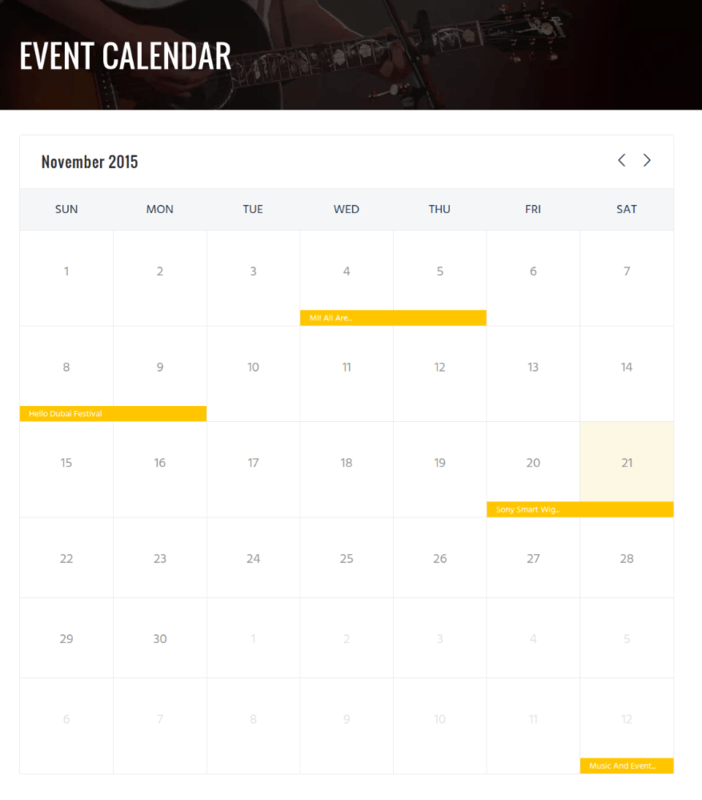 Events are easily managed by adding date, venue, team members, contact information, galleries etc. It provides gallery management for institutes to manage their gallery. It comes with unlimited sidebar options. It has an elegant page builder using that you can create beautiful layout without touching any code. It has an award winning slider plugin Revolution Slider. It has superb functionality and breathtaking animation effects. It comes with powerful theme option panel, you will be able to change color, layout, anything you want on one click. It is completely translation ready so it supports free and premium plugin. You can translate everything with this. I was planning to start my website with keep the visitors updated about our musical concerts. I came across RockIt theme and this was it that I was expecting from a theme. It is well integrated with different plugins that eases your task and saves time. Also there are many sidebar options that is provided by this theme which is amazing. 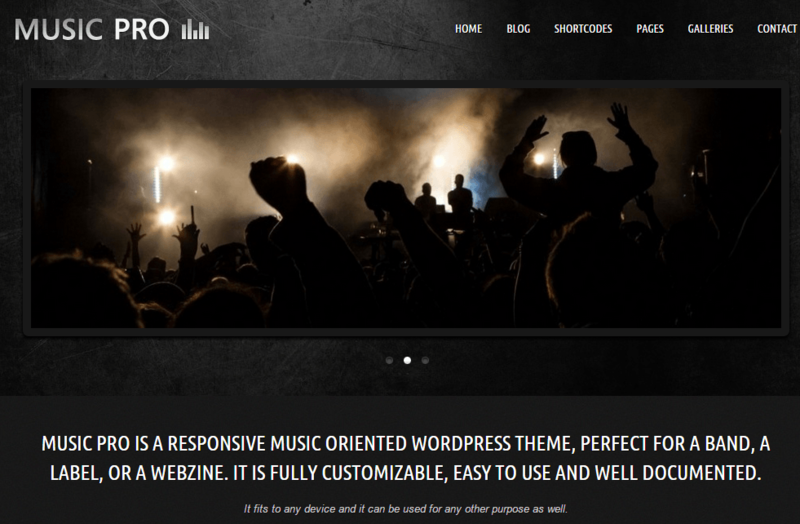 Responsive WordPress Theme for Music and Bands.